Our Floral designs have been a #1 hit since day one. 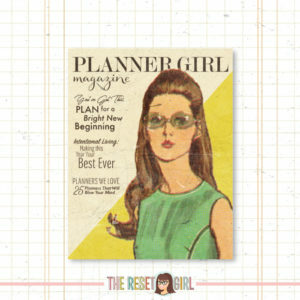 We love to use these for planner pages, memory keeping, scrapbooking and any paper project that could use a little burst of pretty. 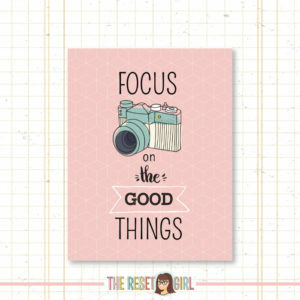 However you decide to use our products, please be sure to share it with us on social media using #TheResetGirl hashtag, and we just may feature you on our “iSpy” blog. 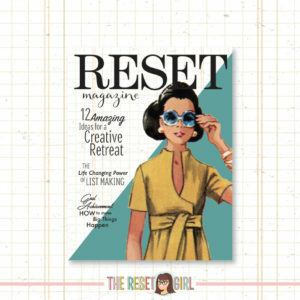 Also, be sure to join The Reset Girl’s Crafty Club for fun chat, live events and more inspiration. You do not want to miss being a part of our amazing community! Print on 32lb cardstock, for a creamy smooth, yet sturdy texture. Or print on sticker sheets. 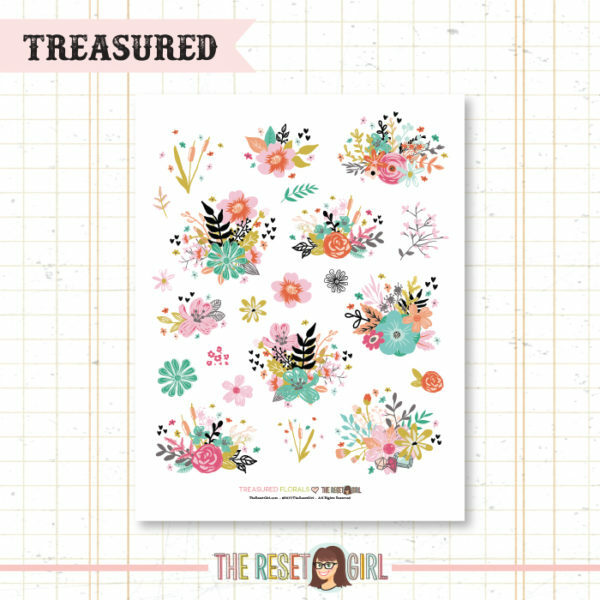 Both matte & glossy sticker sheets display the beauty of these florals, and help them come alive on all of your paper projects.